I have taken a little break and went home to Malaysia to celebrate Chinese New Year with my beloved family. It was a fantastic trip. I am really missing them now. My father lost quite a bit of weight as he finally is doing some real work! Menoreh getah! haha.. i guess the price increase of natural rubber is a good thing for our family. He is healthier now as he is doing more physical exercise by waking up early in the morning and getting up and down in the estate rubber tapping! My mum is okay but she looks more tired than before. Must be all the work, driving my siblings around and pressure that she is having recently. I feel so bad for not being at her side, taking care of her. My little sis and bro have grown up so much. Andy’s voice has changed! haha.. becoming a man now! Sin-er is my precious gal. She is a good gal but too smart and mature for her age. I wrote her a long letter in mandarin which I hope she will get the message and understand my love and care for her. My little niece can finally address me accurately. She is cute but too clingy to her mum and too “ku bao”! haha.. Hope she will grow up to be a nice and sweet little girl! I wish all my friends who are reading this a very happy, healthy and prosperous Golden Rabbit year! Be passionate about my life and everything that comes into my life is my new motto of the year! I want to be a person who is passionate about things I do.. about life.. say yes and be positive! I am regretful that I gave up my blogging.. I am going to pick up blogging again. I should not let my life passes by without making some notes about it given that I love to make notes so much! During study.. during work.. how about make notes about my life that I could review and reflect now and then? Love my life.. love my family.. love my work! I love to eat cheese after coming to Australia.. maybe because I am surrounded by cheese. Havarti or Cream Havarti (Fløde Havarti in Danish) is semi-soft Danish cow’s milk cheese. Cheddar cheese is a relatively hard, pale-yellow to off-white, and sometimes sharp-tasting cheese originating in the English village of Cheddar, in Somerset. Edam (Dutch Edammer) is a Dutch cheese that is traditionally sold as spheres with pale yellow interior and a coat of paraffin. Its Spanish name is queso de bola, literally “ball cheese.” It is named after the town of Edam in the province of North Holland, where the cheese is coated for export and for tourist high season. Babybel is a brand of cheese sold internationally. It began in 1865, with the founding of “Etablissements Jules Bel” in Orgelet, France. In 1947, the brand Bonbel was introduced. 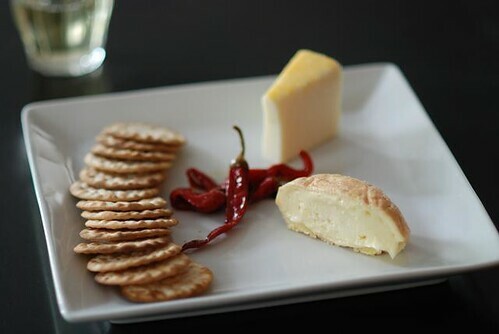 This pressed cheese is easily recognizable thanks to its distinctive red wax. In 1977, the miniature Babybel version appeared as, Mini Babybel which is marketed as a uniquely natural and convenient snack. Manufactured by the French group Fromageries Bel, it is produced in Évron, in the northwest of France. And I also got a new phone! We are also provided a new phone in this company!! And we got a brand new Nokia 6120. It is a really classic mobile phone. Sleek, light, elegant-looking and not to forget, the powerful symbian OS. I totally love it! 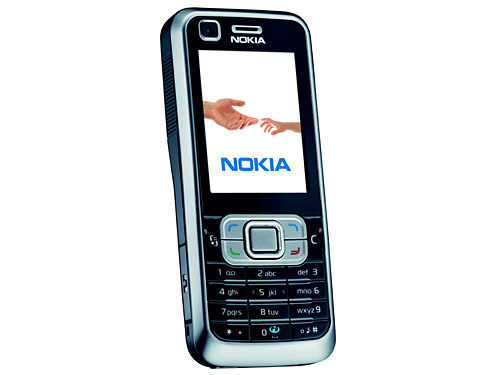 Btw, this is my second Nokia phone after the very first phone I used during my practical in year 2001.